Children's Board of Hillsborough County » Board Member – Andrew J. Mayts Jr.
Home How We’re GovernedBoard MembersBoard Member – Andrew J. Mayts Jr.
Board Member – Andrew J. Mayts Jr.
Andrew J. Mayts Jr. is a shareholder in Gray Robinson Attorneys at Law’s Tampa office and focuses his practice on Banking and Finance and Construction related litigation as well as cybersecurity prevention and response. Andy handles complex civil litigation matters for businesses including national banks in state and federal court in numerous trials. Mr. Mayts has practiced for many years as a banking and finance litigation attorney. He has handled the defense of regulatory compliance matters, special assets and consumer actions against financial institutions. As a construction law attorney, Mr. Mayts has represented owners, subcontractors, suppliers and general contractors in numerous defect and equitable adjustment claims. 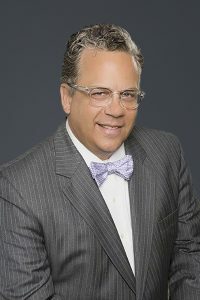 He has lectured on construction law issues for the Hillsborough County Bar Association and other various associations. Mr. Mayts’ cybersecurity practice involves advising clients on data breach prevention, response and litigation for business owners and corporate clients. He works to protect companies against a data breach by improving data practices and provides in-depth incident response assessment if a breach occurs. Mr. Mayts has received an AV Preeminent™ rating by Martindale–Hubbell. He currently serves as Chair of the Thirteenth Judicial Circuit Nominating Commission.